Each order contains one pair of socks. 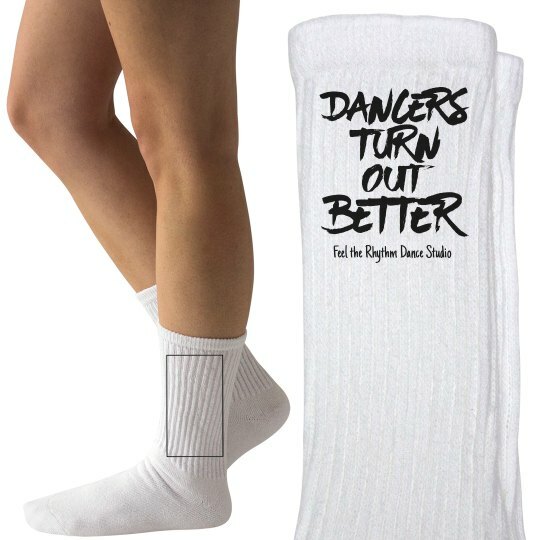 Each sock tube will be printed with your design on the outside of the sock. The inside tubes of the socks that face one another when worn will be left blank. These customizable socks from Hanes are perfect for everyday use. Customize them for your next sports game, pajama party or lounging around the house. PLEASE NOTE: Your design will stretch with the sock when worn. We suggest bold, blocky designs and text for better legibility and overall maximum design awesomeness!